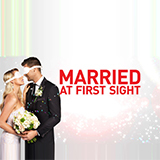 Three Wives One Husband is a TV show on Australian national television from Channel 9 with an average rating of 3.5 stars by TVCatchUpAustralia.com's visitors. We have 2 episodes of Three Wives One Husband in our archive. The first episode of Three Wives One Husband was broadcast in April, 2019. Did you miss an episode of Three Wives One Husband but don't you wan't that to happen in the future? Please set an alarm and add Three Wives One Husband to your favourites, so we can remind you by email when there's a new episode available to watch. Completely free: handy! Tensions rise when Enoch, a polygamist with two wives and 17 kids, decides to bring bride #3 into the fold threatening to upset the delicate balance of peace and domestic bliss he and his current wives have worked so hard to make possible. Chris, the son of the founder of the community, arrives with his wife Sasha. As the couple decide to approach a potential second wife an unexpected problem arises, the Utah State Senate attempts to make polygamy a felony again.